Looking to rent a home in Denver? 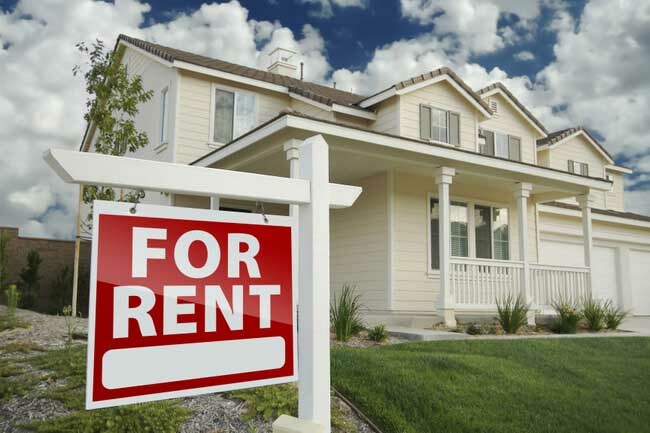 At Evolve Real Estate and Property Management we help renters locate privately owned rental properties for a fee. If you are like most people moving to Denver, you probably don’t know where to start. You might have several dilemmas: What’s a good neighborhood? How do I look at properties when I am not in town? Why do the rentals go so fast and how do I stay on top of the game and secure a quality rental? Why do most rental agencies not return my calls? These are all valid concerns and we have the expertise to help you. Denver’s rental market is very fast paced and competitive with rental homes going in just one day. At Evolve, we are ready to locate that perfect home for you. Let us help you navigate through this transition in your life. We have access to multiple listings service, which lists Denver luxury rentals, we have a large network of Realtors, who do rentals only and in most cases are able to help you secure a rental faster and more economically than you would do on your own. We will work hard to protect your interests, secure a suitable rental and will put our negotiation skills to work in order to get you the best rental price and lease terms. In depth interview defining what you are looking for in your perfect Denver rental. We have helped many find the perfect rental on their budget from single family homes in the suburbs to luxury condos downtown. Keeping tabs on new listings that fit your criteria and communicating timely. This is key in the ever-demanding Denver rental market. If you are in Denver for a day or a weekend, we would arrange to look at several rental homes on your schedule, will give you a tour of several areas that might be a match for your needs. We will show you up to 10 available homes in the market place, not just our listings. If you are out of country, or simply not able to fly into Denver for the house hunt, we have Skype and Facetime capabilities and can “virtually” walk you through any Denver rental home. Once you find that perfect Denver rental, we will have our expert negotiators get the best price and lease terms for you. We review the lease to ensure all your rights are protected and you are being treated fairly. We want you to love your rental home and be comfortable with your lease terms. Walk-through inspection. It is easy to overlook during moving, but an initial walk-though is crucial to you getting your security deposit back. We have a trained eye and will take detailed notes and photographs as to the condition of your rental, so you are not held responsible for some of the things present at move in. Evolve leasing program is designed to save you time and headaches, make sure your rights are protected and you find the best Denver rental house for your needs. Our rental location service costs 50% of one month rent (with a $1000 minimum) paid by the tenants. If your employer is relocating you to Denver, they may assist in paying our fee, just check in with your HR or relocation department. We do rebate this fee back to you however when you chose us to be your Realtor to buy a house at a later date. So, it could end up being free. If you would like more information on the Denver leasing program for tenants, give us a call. There’s no simpler way to locate your next Denver rental house or apartment, than to have one of our leasing specialists conduct this search for you.